In spite of its sinister name, The Bucket of Blood Saloon gives off the charm of the old-time hey-days with its many hanging lamps and mirrors. Memories of a time long ago await the visitor wandering into the bar for a cold drink in this cool oasis. The BUCKET of BLOOD Saloon-“the Original”. This structure was constructed in 1876 after the great fire of 1875 which destroyed up to a thousand structures of the town. Most of the town’s core buildings were lost or sustained damage, unfortunately the first structure that previously occupied this location, like a lot of the other town’s buildings of that time was completely destroyed. Though the building you are currently viewing has gone through several renovations, iterations and operations since 1876, it like many of the other historical buildings throughout Virginia City survive as living history. The masonry walls of the Old BUCKET predate the great fire of 1875. Shadows of doorways recall a time when enclosed stairs led down to the Boston Saloon. 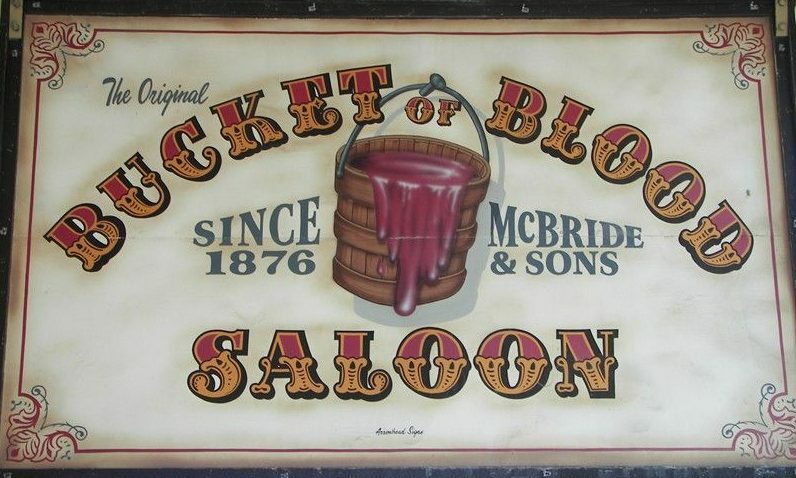 The BUCKET of BLOOD has long served as a local landmark in the center of Virginia City. Until recently no one realized that the Boston Saloon lay under an asphalt cap to the rear of the building. The discovery of the Boston Saloon location in 1997, together with a subsequent test excavation, demonstrates that the site is rich with artifacts and has national importance. This business stayed at a single location through most of its existence, making it an anomaly at the outset. Defying the odds, remnants of the saloon survive in the archaeological record, escaping 125 years of development and bottle collecting. An asphalt parking lot currently caps the property, which the Comstock Archaeology Center excavated in September 2000. The Center is still completing analysis and cataloguing over the years. Pending funding, one or more exhibits will open at various locations in the future. 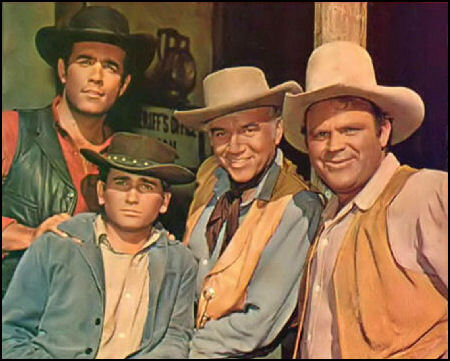 Today, the Virginia City National Landmark is one of the nation’s largest historic districts, soaring to more recent prominence in the 1960’s as the subject of NBC’s Bonanza series. It includes over five hundred buildings dating to the time of the great bonanzas, from 1859 to 1880. Thirty-five minutes from Reno and forty-five minutes from Lake Tahoe, Virginia City provides a unique opportunity for public education with nearly a million visitors a year. “This Site is dedicated to the people, like my Father, who cherish the History of the Old West, and live for the opportunity to enjoy every moment spent at the Original BUCKET of BLOOD Saloon”.